Increasing cash flow allows any medical practice to grow and serve more people. Medical billing errors restrict cash flow significantly. If clients aren’t billed in a proper, timely fashion you can’t expect to receive payment quickly. Find which strategies work best for your practice. Different offices use varying approaches to streamline the billing process. Practices both small and large need intelligent, effective systems in place to handle billing. As denial rates slowly increase it’s time to assess the protocols you’re using to catch issues before they arise. Although staff may be under pressure due to time and workload constraints having strategies to address common errors can improve productivity in a sometimes hectic, chaotic environment. Use these 4 smart tips to avoid common medical billing errors. Enter codes effectively and avoid unbundling of codes to dodge medical billing mistakes. Follow detailed coding best practices. Practice management software should red flag you if you’re under-coding any diagnoses. Coders and billers should be on the same page to know what error codes look like so as to avoid problems deciphering these codes when issues arise. 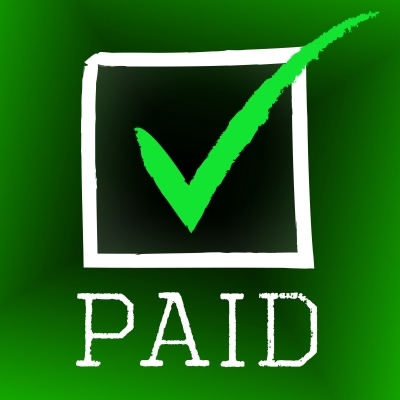 Increase channels of communications between both parties to improve the billing process. You can’t rely entirely on a practice management system to automate claims. Adding a human element to the claims process helps you avoid unnecessary errors. Make it your duty to post printing and charge reports. Staff should know how your practice management system works to effectively navigate the inevitable bumps in the road. Independent practices with few staff workers should have a simple, actionable system in place to handle a greater workload with fewer resources. One common medical billing error involves recording inaccurate patient information. Instruct billing staff how to read from a patient chart to avoid time-consuming and cash flow restricting billing denials. The procedure performed and diagnosis code need to match up and the patient policy number and name need to be correct to streamline the billing process. Seemingly simple, easy to avoid mistakes can create massive headaches for your practice. Double check all basic patient information before you bill. Since you’re looking at a potentially 30 day waiting period after bill denials carefully re-read each bill prior to submitting. Extra mindfulness makes the process flow more smoothly. Verify accurate insurance information to avoid the chief cause of bill denials. This simple to skirt problem can be avoided by relaying to your staff the need to be vigilant when signing in returning and new patients. Record all insurance information carefully. Don’t be in a hurry to take down patient information. Get in touch with the insurance provider. Figure out copayments and deductibles and verify both the coverage period and effective dates. Software can alert you to any insurance eligibility issues even before the patient visits your office. Dodge common errors and improve your practice’s cash flow. Consider investing in medical software to provide these solutions to meet the needs of medical providers.